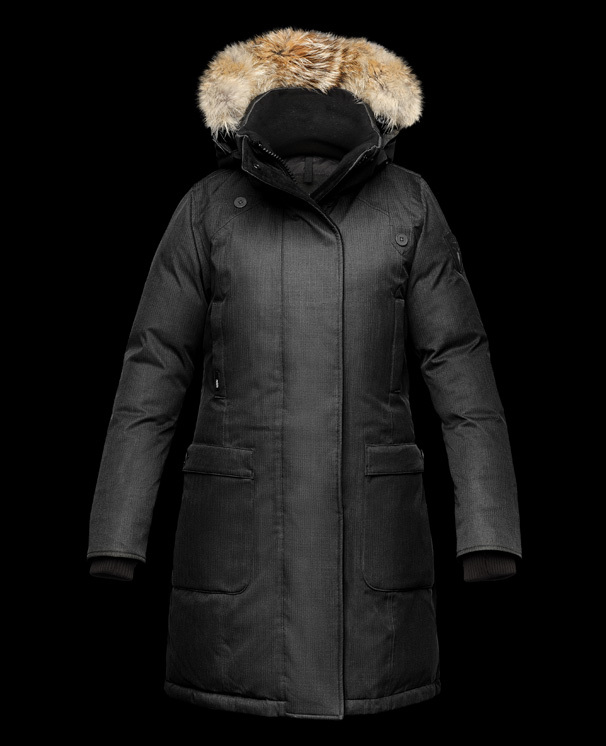 The merideth Ladies Parka Technical Features: Premium Canadian Origin White Duck Down for ultimate warmth. Optional 100% polyester crosshatch shell or premium poly/wool blend shell. Sympatex® membrane laminated. Seam sealed construction. Windproof and waterproof (10,000mm). 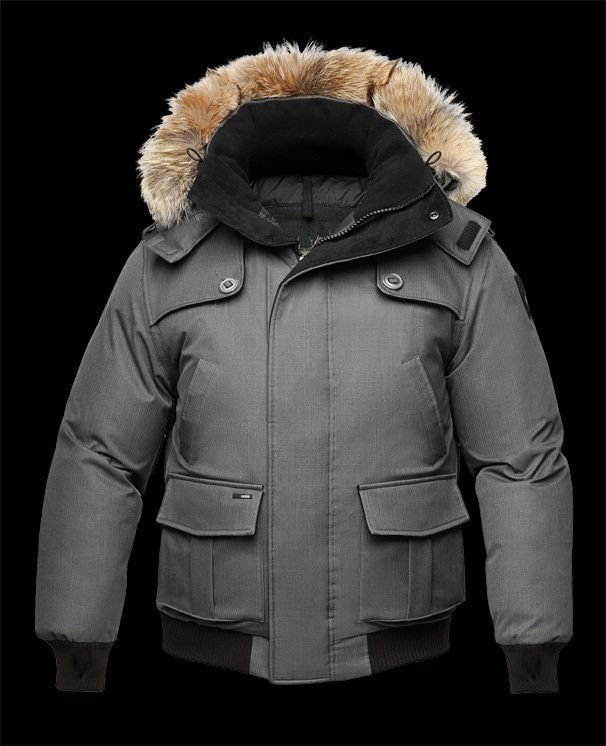 Breathable (10,000mm) outer shell. DWR (Durable Water Repellent) coated. Durable Design Features: Highly breathable down proof free hanging liner. Two-way zipper. Centre front wind flap with convenient magnetic closures. Interior zip stash pocket. Removable melton wool peaked inner hood, lined in anti-pill micro fleece. Removable down filled outer hood. Removable coyote fur ruff. Optional faux fur. Mouldable in-hood framing wire. Double drawstring toggle system for hood. Heavy elastic rib cuffs with thumbhole openings. Fleece lined, hand warmer pockets at chest. Neck lined in non-pill micro fleece. Deep front panel pockets. Epaulette details.